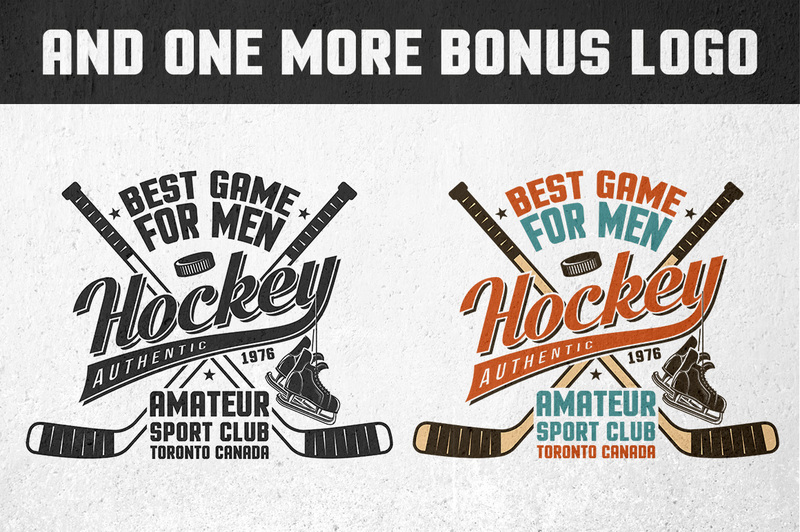 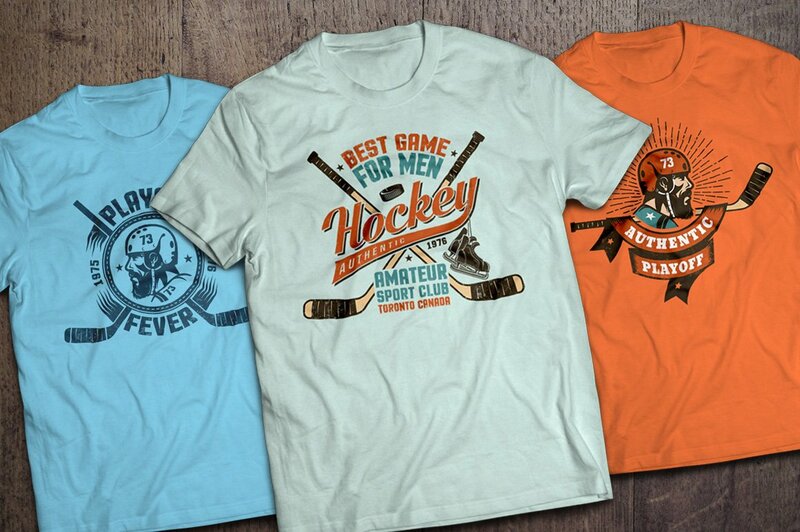 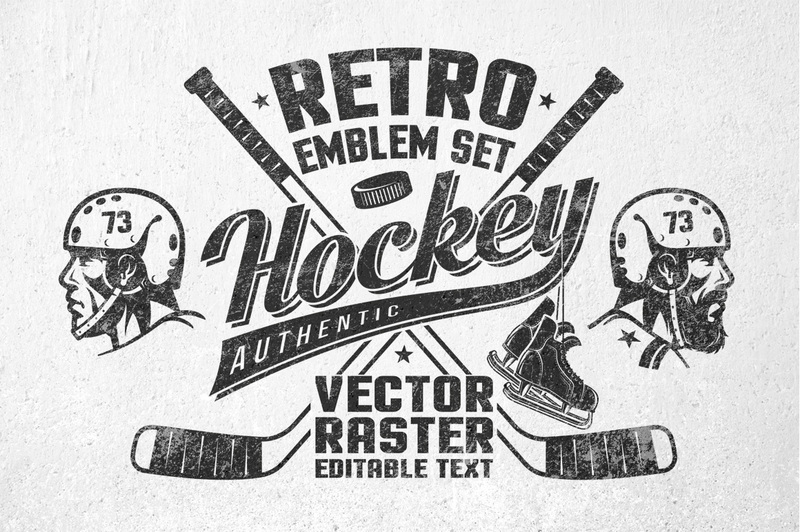 ï»¿Amazing retro logos for hockey team, hockey club or just print on the T-shirt. 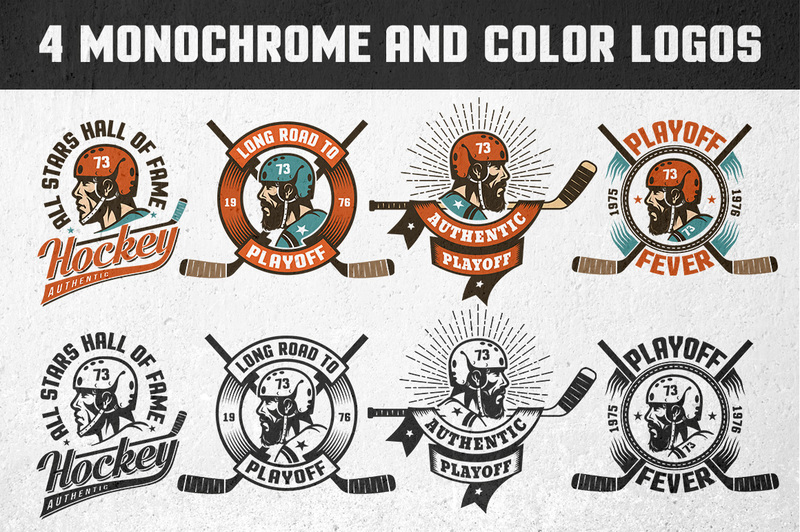 Old-school-style head of hockey player without beard and with beard in a retro helmet blends perfectly with other hockey elements and and emphasizes the authentic hockey spirit of these logos.. 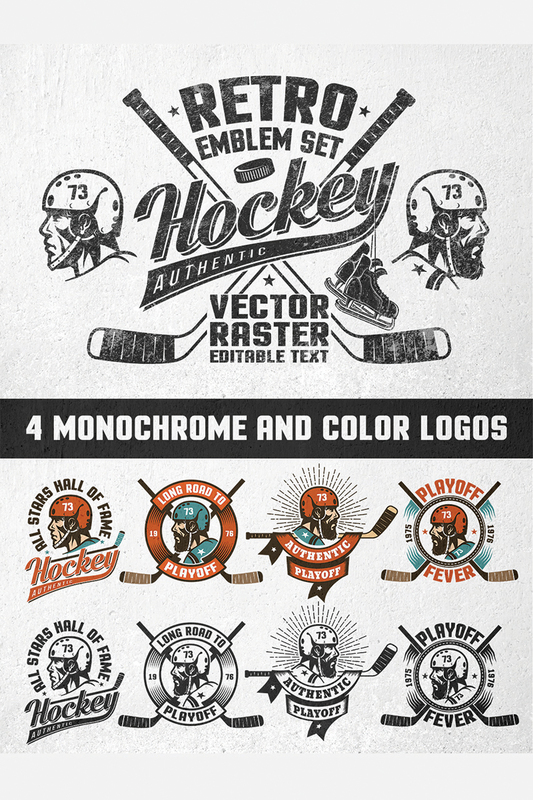 Specially for you included versions with editable text in vector and raster, so that you can easily adapt the logo for you. 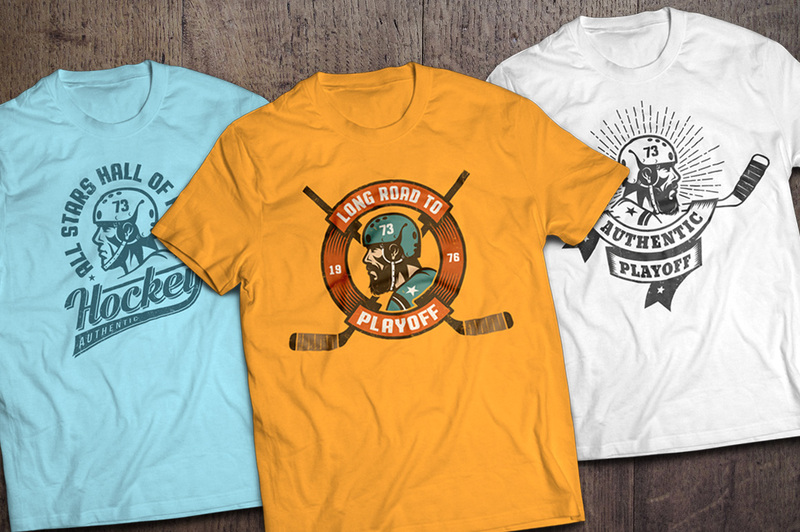 NOTE: The word "hockey" included only in the curves, and not editable.